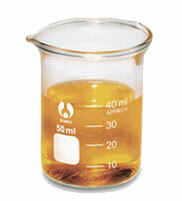 The Latin Binomial of Ambrette seed Co2 oil is Abelmoschus moschatus and the part used is the seed for Co2 extraction. It has ethical growing practice and the country of origin is India. The Ambrette seed Co2 oil odour type is floral. The seed come from the large yellow flowers and has strong odour of animal musk. Ambrette seed CO2 has similar application to Ambrette seed absolute in fine, sophisticated perfumery to pass on a note similar to animal musk and it is best aged for several months before use, which will suppress the early fatty notes. It has a rich, sweet floral-musky odour, with a note similar to wine or brandy. The odour has intricacies somewhat characteristic of cypress, Bulgarian rose, clary sage and cognac. Ambrette seed is very complex with an unbelievable obstinacy (perceptible at .01-.04mg %). The Refractive Index is 1.45700 to 1.46500 @ 20.00 °C and Specific Gravity is 0.91200 - 0.94100 @ 25.00 C. The oil is yellow in colour with a characteristic smell and its bio-chemical class is Sesquiterpenol. The bio-chemicals contain in the oil is 23 - 27 % essential oil containing 60 - 75 % farnesyl acetate, 5 - 10 % ambrettolide, heptyl-, decyl- and nerolidol acetate and farnesol. The INCI name of Ambrette seed Co2 oil is hibiscus abelmoschus seed extract. The plant is from the Malvaceae family, Abelmoschus moschatus and is commonly called musk mallow. It is an evergreen herbaceous bush plant growing to about 4 feet and is a native to India, S. China, Asia and tropical Pacific. Even though the plant belongs to the tropical origin, it is frost hardy and can be grown as a tender perennial or annual. Muskmallow plants have hibiscus-like yellow flowers with purple colour centres. Cultivars expand the available flower colours to include attractive shades of pink, orange-red and red often with white centres. The flowers last for only one day, but the plants flower freely throughout the growing season to frost. The fruits which have a musky aroma and hence the common name, musk mallow. Ambrette has a rich history in India and the roots and seeds and often leaves are used as valuable ingredients in traditional medicines. The seeds are considered a bitter tonic, cooling, aphrodisiac, digestive, carminative, diuretic and deodorant. Roots and leaves are used for the treatment of venereal diseases like gonorrhoea. The seeds are used against venomous reptiles and are not known for use for aromatherapy uses. 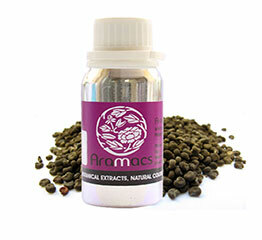 Ambrette seed CO2 is known for its laudable effects in perfumes. It blends well with rose, neroli, sandalwood, and find an important place in more sophisticated blends. Ambrette Seed Co2 or the Hibiscus abelmoschus, is the only natural musk available on the market, that is not animal derived. It has an obstinate, dry note and this oil is an intense aphrodisiac, giving any blend a smooth, sultry, depth, which has to be experienced to be appreciated. When you are looking for a good choice of calming, grounding oil this is the perfect choice of oil. It adds deep challenging notes without distinctive feminine influence unlike other aphrodisiac blends.